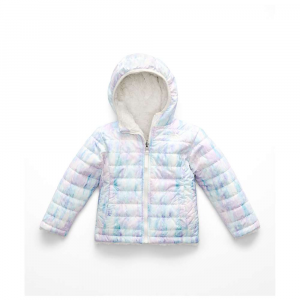 The Girls Shimmer Me II Hooded Jacket is a pretty puffy coat with thermal reflectivity for ultra warmth and a slightly shimmery shell fabric that's water resistant. 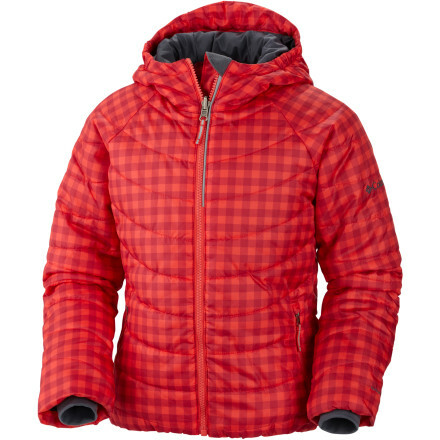 In addition to 100g of toasty Microtemp insulation, this very pretty puffy coat employs our patented thermal reflective technology, which reflects your body heat for warmth while maintaining a high level of breathability. The Shimmer Me Jacket's sleek, slightly shimmery shell fabric is water resistant to keep you dry, and the traditional down-style baffling is jazzed up with fun ruching on the upper torso and cuffs. 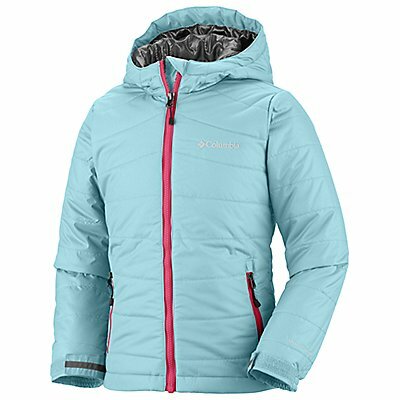 The Columbia Girls' Shimmer Me Jacket will warm your daughter through ski lessons and strolls to school during the otherwise miserably cold days of winter. 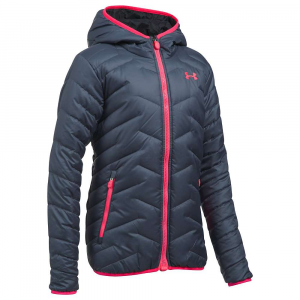 While the Omni-Shield DWR coating resists snow flurries and hot-chocolate spills, the Omni-Heat Thermal Reflective lining retains your little lady's body heat so she gets warmer during active pursuits like skiing and snowboarding. 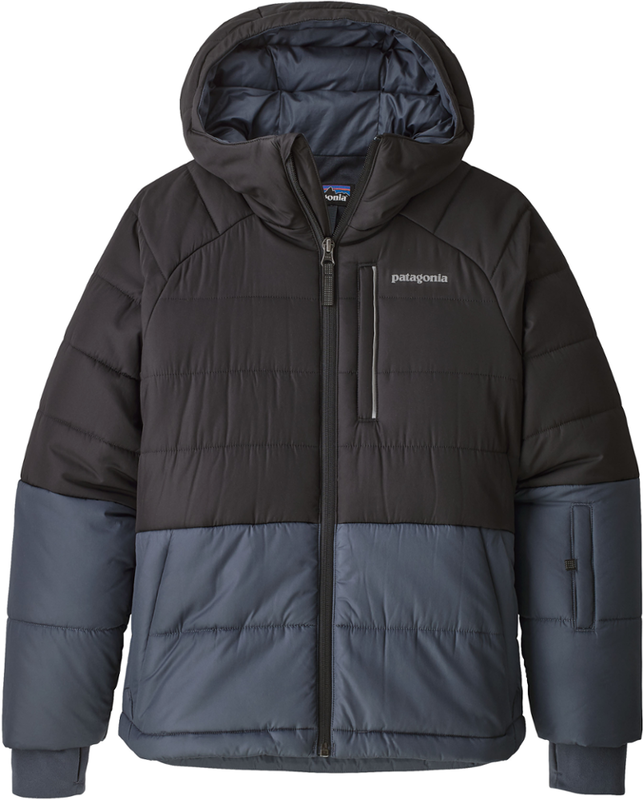 And if that isn't inspiring, then the Microtemp XF II insulation will toast her right up. The adjustable storm hood protects her head from harsh winds, and the comfort cuffs won't rub her wrists the wrong way. 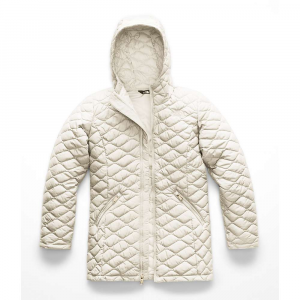 The girls' Shimmer Me II is a warm, insulated winter jacket that sheds rain and seals out cold with puffy-coat style. Cozy heat is the name of the game with this classic jacket. The Columbia Shimmer Me II Jacket is not available from the stores we monitor. It was last seen February 6, 2018	at Backcountry.com.